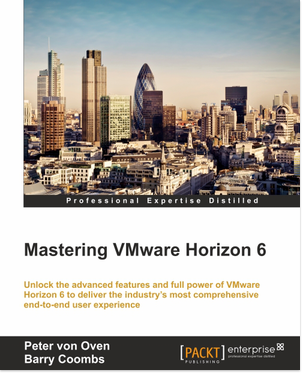 From here you simply input the hostname of your vCenter or standalone host and enter your credentials, you can optionally choose to store the credentials for future connections. 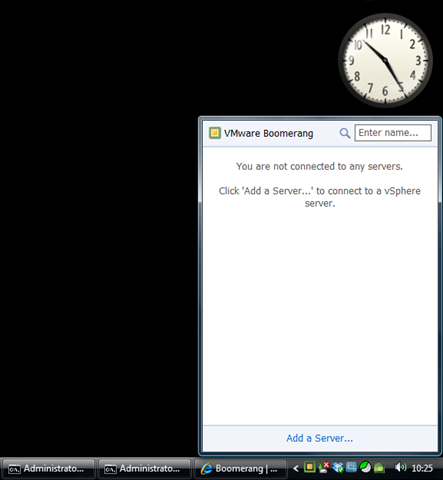 One of the great things about this little program is that you can actually connect to multiple hosts or VC’s at once. 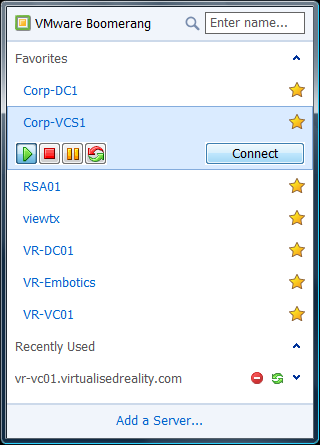 Once connected to your vCenter or host you will see a list of your virtual machines and can choose to favourite the ones you use most often. 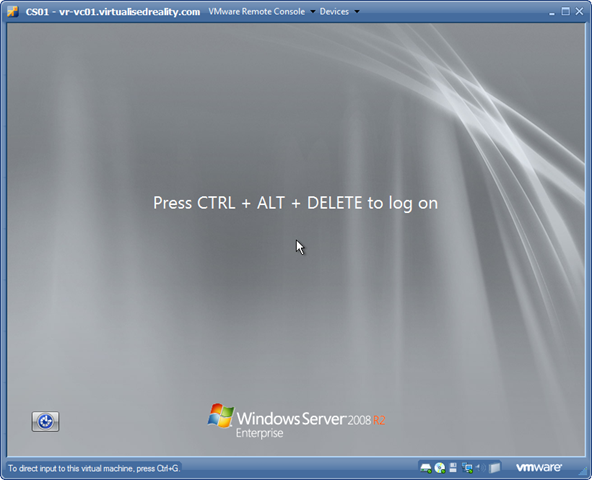 When you select a virtual machine you are able to perform the power management options or alternatively connect to the console of the machine using the VMware Remote Console. 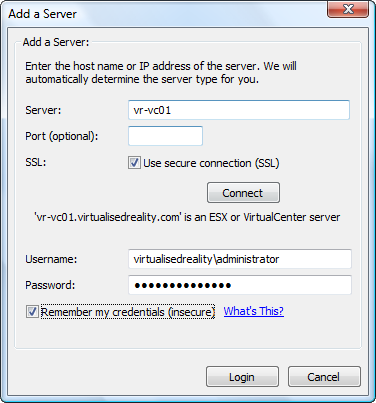 When you don’t need the full vSphere client open but need to quick access to your VM’s this application certainly helps, I have found it really useful whilst writing the VMware View book to allow me to quickly and easily move around the virtual machines. Glad you like the fling!